It’s dark, but above me I can hear the pitter patter of little feet on the floor. Little voices delighting in the morning. It’s too early. I’m too tired. But, I’m awake. Awake. In Denver. Starting Day Four of my Life After Las Vegas. Laying in bed at my aunt and uncle’s house in Colorado, it has yet to hit me the huge life change I have just endured. The decisions I have made. The hole in my heart. None of these things have hit me yet, but I know I can feel something. 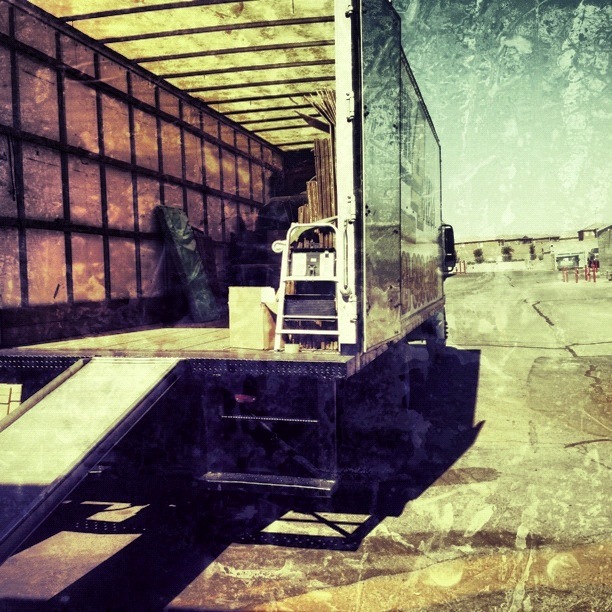 My last days in Vegas came and went with only a little fanfare. My going away party a few days before I left was calm, spent with some of the people in my life I love with all of my heart. The second-to-last night in town, I spent with my best friend and her family, watching a boxing match in the comfort of their home. And my last night in the life I have lived since 2010 was spent with Dave as we prepared for the start of our road trip exploring America and my life as an expat. Over drinks at the dive bar across from my house, he and I sat together, talking travel. Absent was the large amount of pain I was feeling about my decision to leave this world. But, the next morning, as the movers hauled my material possessions out of the condo I rent and into storage, as I dropped my cats at their new home, the tears fell freely. Dripping down my face, drying in the desert sun. This is pain. This is change. This is life. But then, as quickly as those tears seared their way down my cheeks, they disappeared. At my last meal in Las Vegas, sitting at the bar at the local wing joint, Dave turned to me. “This is the start of your new life,” he said. How can tears fall when there is something so joyous beginning? Even now, three full days into life post-Las Vegas, I have yet to really cry. The adventure we’ve been on the past few days has been spectacular. 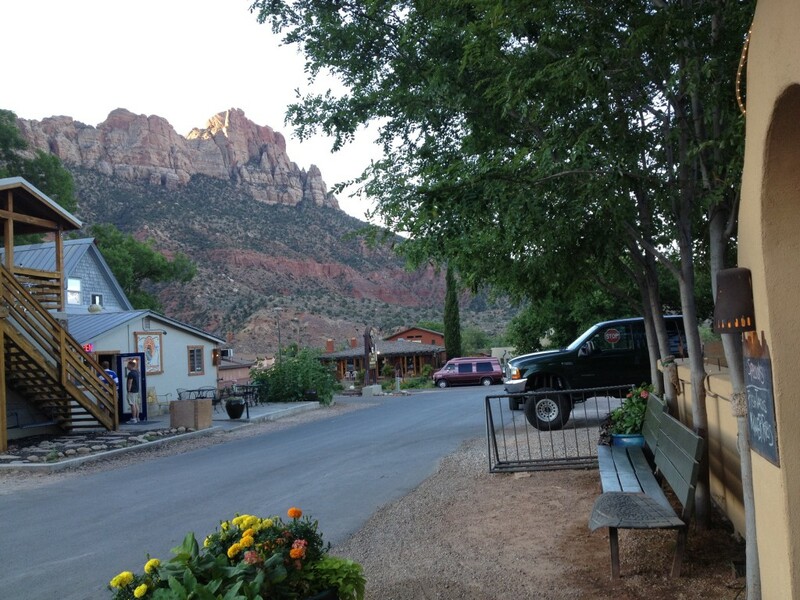 We’ve wandered through Zion National Park, just outside of St. George, Utah. 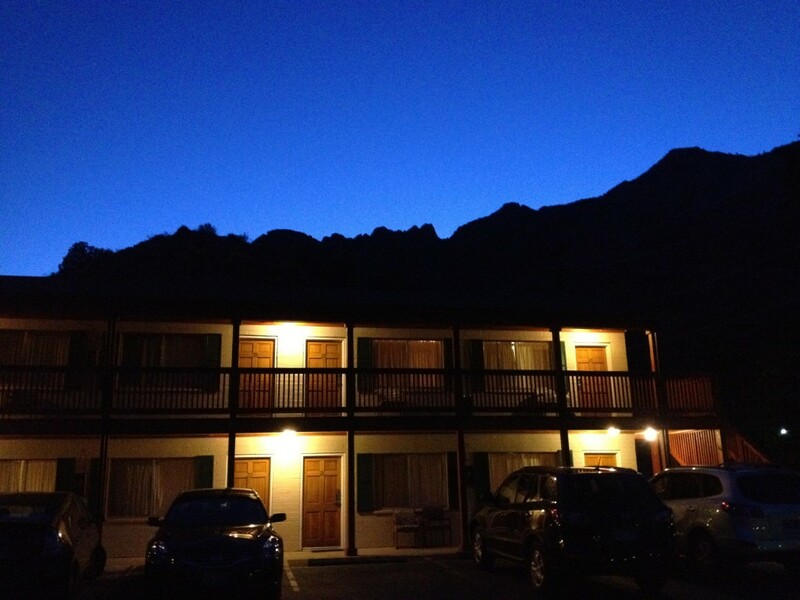 During our visit to Zion, we stayed at the “budget” motel, Terrace Brooke Lodge. For a mere $83 (plus tax) a night, we got two beds, slow (and often times non-existent wifi) and quite possibly the worst free breakfast I’ve ever had (including the 60 plus hostels I have stayed at). But, it was fun! 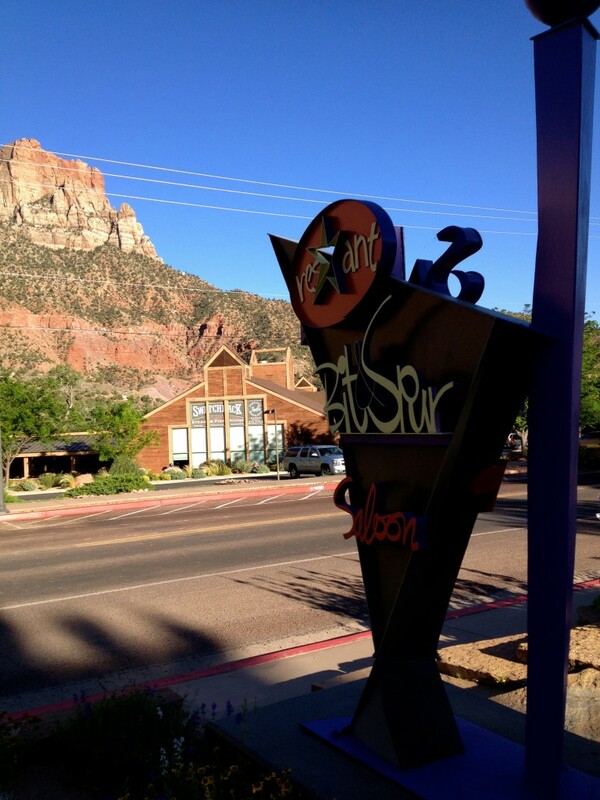 Aside from the lodging, Springdale, which touches the entrance to Zion, is filled with beautiful restaurants that let guests enjoy the surroundings with huge patios. 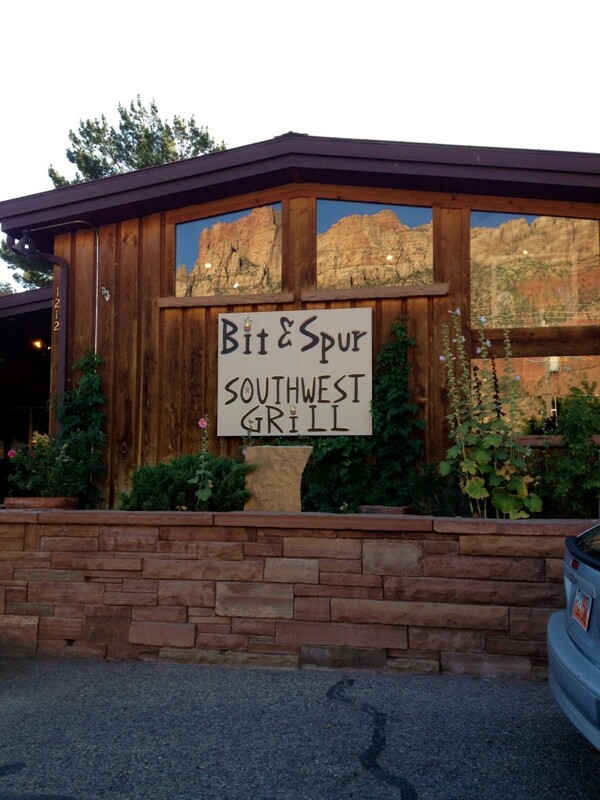 We checked out Bit & Spur and Oscar’s. Both were great, albeit pricey. We’ve driven through desolate (and still beautiful) parts of the desert southwest in Utah, complete with obligatory stop in Salinas for Denny’s at 10 a.m with an old friend (it’s the last stop before hitting Colorado, some 100-plus miles beyond). 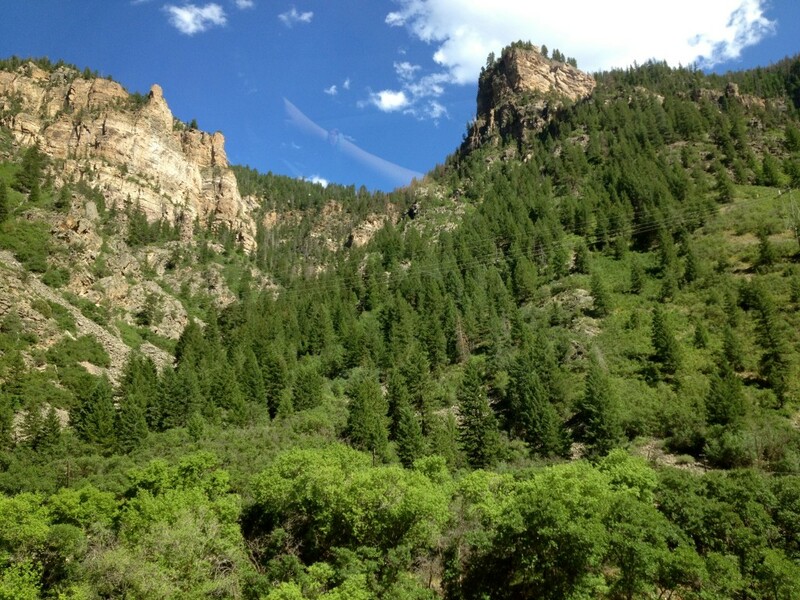 We’ve even cruised through the Rockies. Yes, there are times when my heart feels that tinge of pain. When I long to have my cats snuggle in the crook of my arm and fall asleep together. When I realize I don’t have a bed, a home, a life in America anymore. Then, I remember this is the start of the next amazing adventure. That I am seeing America. That I am going to Thailand. That I am living my life according to my own set of rules. And that, my friends, is an awesome thing. Change may not be easy but sure is exciting. I want to hear all about your expat plans at TBEX! I can definitely relate. When I moved to Argentina I was a mess of emotions. So much crying, smiling, excitement, and anxiety and it was the same when I came back to the states nearly 2 years later. Ahh! So excited for you! You sure do have a way with words! I’m so excited for this new path in your life!!! Thank you so much!! I can’t wait! What a great feeling… rock on! It does feel amazing!! Thank you, Susan! So wonderful to meet you!!!! Looking forward to catching up with you in our travels. Will definitely give the else a big hug for you! I loved how you described change as pain and life! It definitely is both and a necessary part of life, IMO. Your excitement can be felt through your words and you inspiration will change lives of people following you. Thank you, Debbie. Change is never easy, and I am constantly reminded of that. If I am able to inspire someone else, then that is simply amazing. I appreciate your support!! I can imagine how tough such a big change must be. Leaving everything you know for the unknown. It’s thrilling and scary! I wish we had time to chat at TBEX. Hope to run into you again somewhere in the world! It was very difficult. There were a few times when I wanted to change my mind and stay put. I wish we could have chatted more, too. I am sure we will see each other in our travels!! looking forward to following the trip with you guys! congrats on a great decision. I know!! 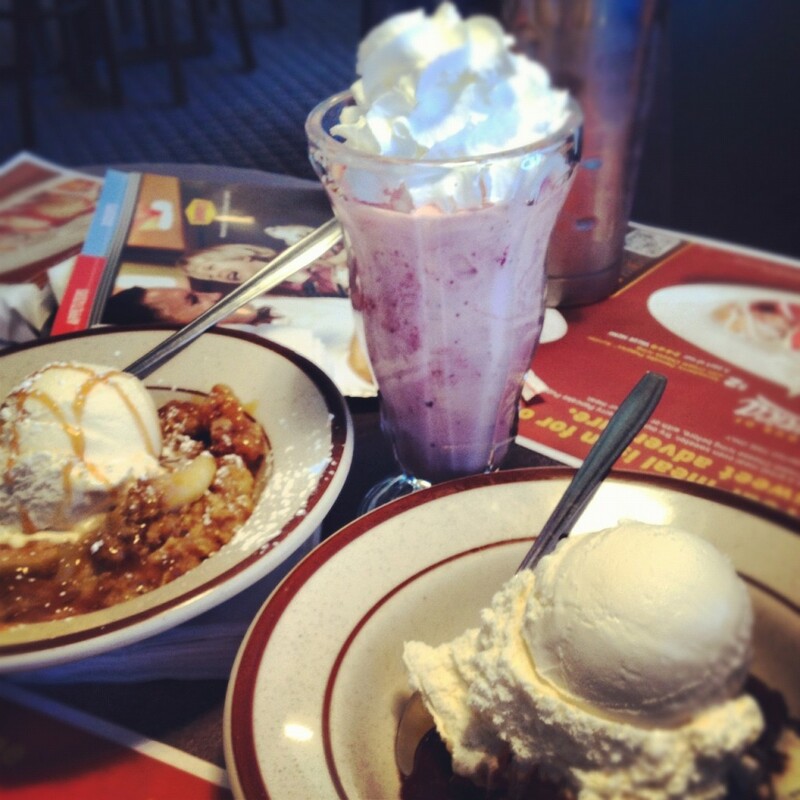 In non-cross-country driving life I am not a fan of Denny’s. But, on that day, it was perfect!! Thanks so much for your support! The trip is a lot of fun so far!